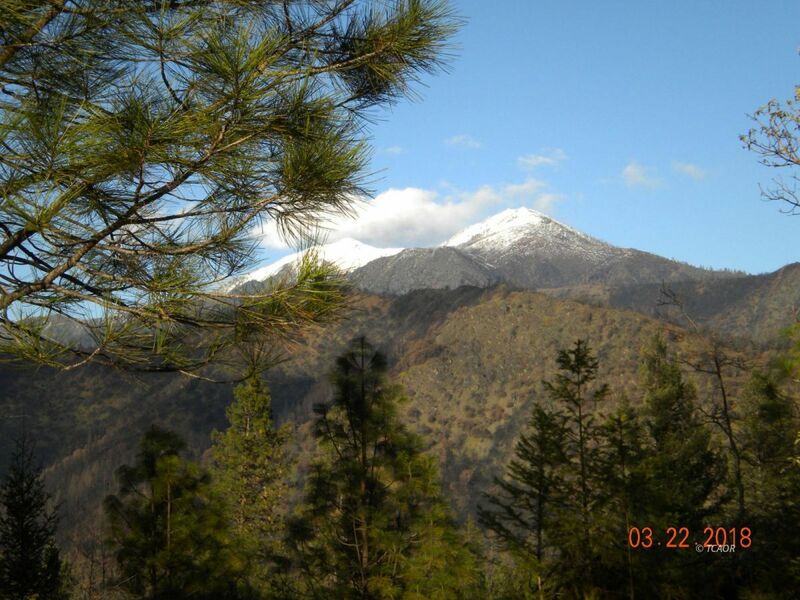 Develop this 4.77 acre parcel with loads of level area and a breath-taking view of Weaver Bally in the Trinity Alps. A large building site has been cleared with circular driveway. Recent well is reportedly yielding about 10 gallons per minute. Perfect home site with lots to offer. Nice wooded level area past home site for peaceful retreat.. Part of Coopers Bar Estates but outside the main body so you have access to the gated common area with spacious Trinity River Access for fishing, swimming and general recreating. This would be a great home site with plenty of room for a home and septic system. The bushes screen off the interior from the road and is on a quiet gravel road with only 6 homes. The Agent has not verified zoning use. Buyer is advised to contact Trinity County Building Department for zoning verification.